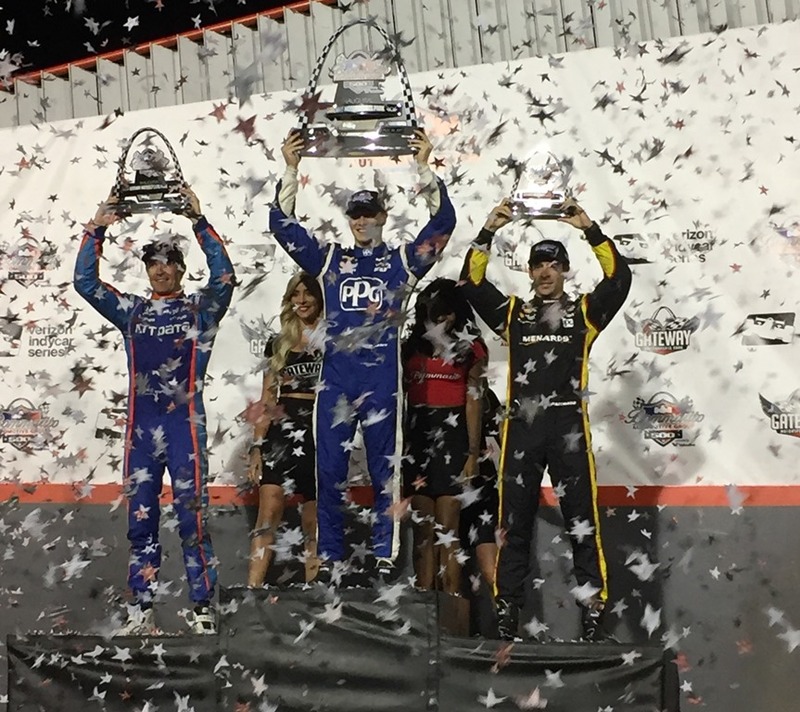 The return to Gateway Motorsports Park by the Verizon IndyCar Series got off to a rocky start Saturday night. 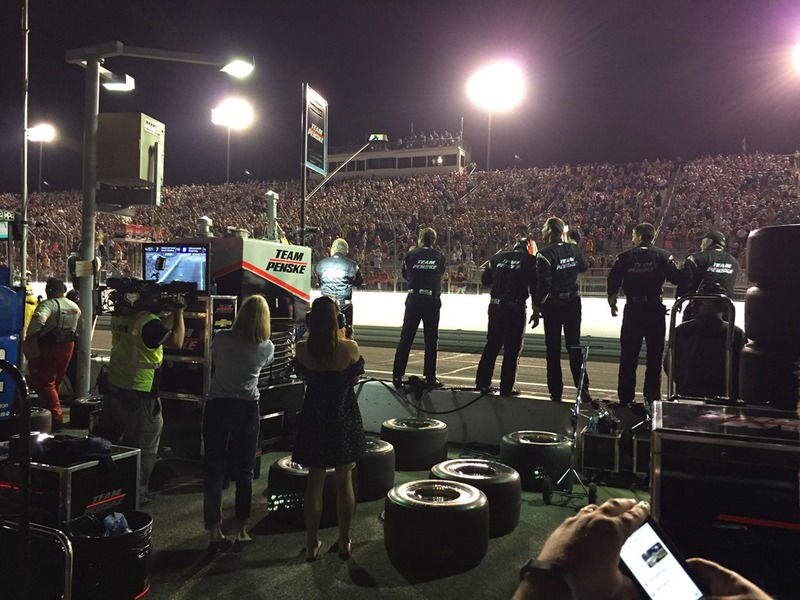 The crowd was phenomenal following a fifteen year stretch since IndyCar left. I’m no expert at estimating crowds, but I would guess that there may have been over forty-thousand on hand. The stands looked full and I’m hoping it looked as good on television as it did in person. 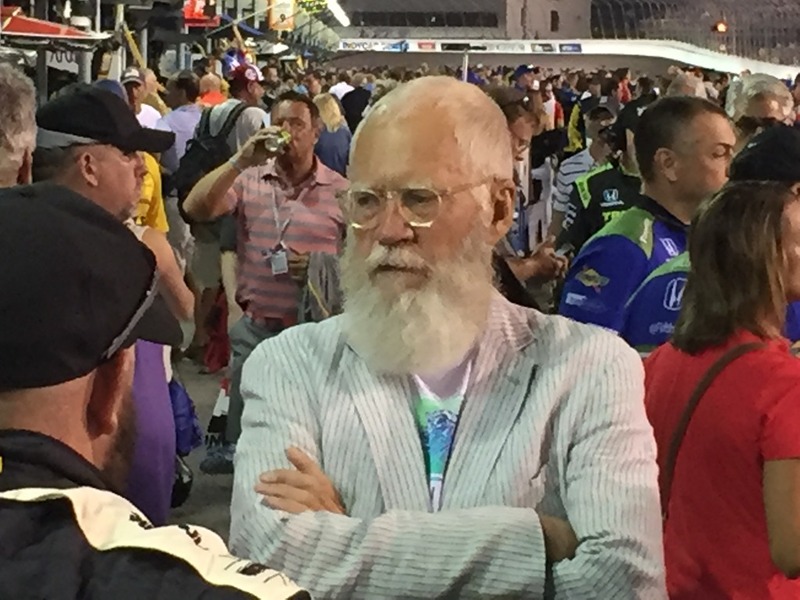 After the drivers formed rows of three for the parade lap as a salute to the Indianapolis 500 fans that live in the St. Louis area, things got strange. 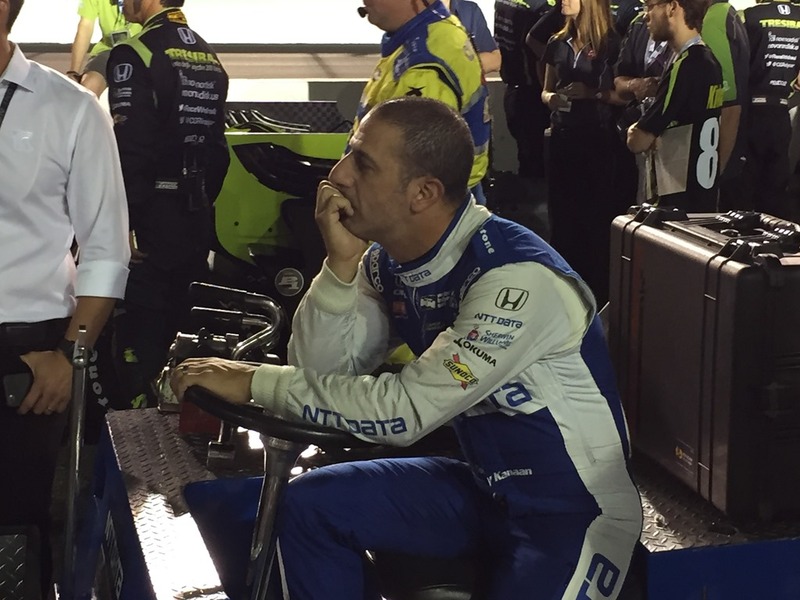 First, Tony Kanaan spun before the green flag which was only the start of his bad evening. Word has it that Chip Ganassi ended up parking Kanaan after eighty laps although there was nothing wrong with the car. This divorce is going to get ugly. After starting the race with four laps under the yellow, things finally got going – for two turns. Pole-sitter Will Power spun in Turn Two and collected Ed Carpenter, who went airborne against the fence. Somehow, Takuma Sato got involved as well and there were three fast cars eliminated before a single lap of green-flag racing was complete. The green flag finally flew for real on Lap 18. It didn’t take long for the field to stretch out. I was disappointed that there was very little passing under green. Most green-flag stints were single-file parades. There was some passing, but nothing like we thought there would be after watching such a spirited late night practice on Friday night. But there was some action as Helio Castroneves passed Scott Dixon for third on the rack, after he botched his second pit stop while leading the race. JR Hildebrand an Max Chilton both hit the Turn Four wall, while Ryan Hunter-Reay brushed the Turn Two wall. But what everyone was talking about after the race was the move that Josef Newgarden put on teammate Simon Pagenaud for the win on Lap 218. Pagenaud was leading the race when Newgarden dove into Turn One, bumped Pagenaud lightly and took the lead as Pagenaud fell to fourth. He recovered to finish third as Scott Dixon finished second. 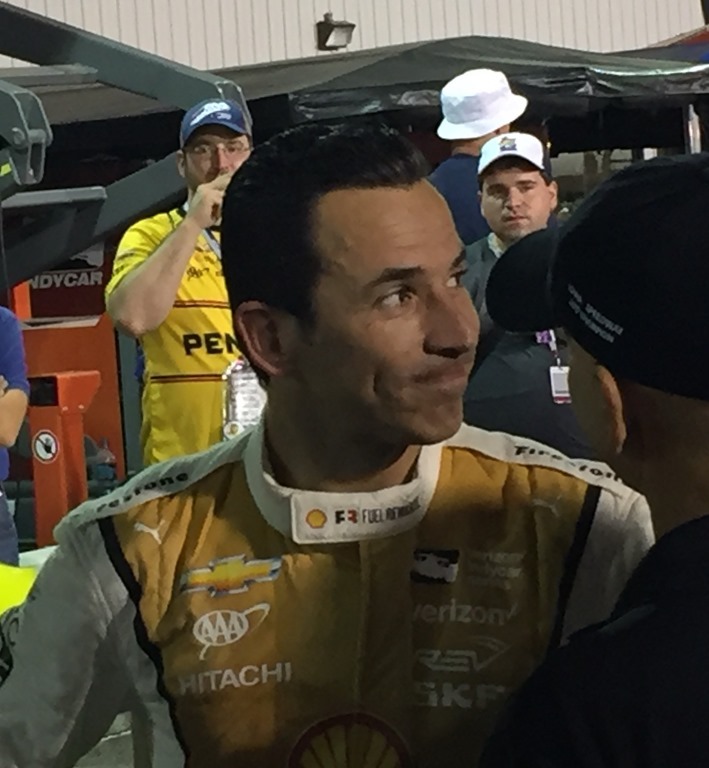 Helio Castroneves ended up very disappointed to finish fourth. After the race, Pagenaud was livid. I heard he shared his displeasure on TV. His temper had not cooled down when he came to the Media Center for the post-race press-conference. Pagenaud said he lost trust and respect for Newgarden and had it been any other driver, Newgarden would have ended up in the wall. When asked about rubbing wheel with drivers at other tracks, Pagenaud said that the move would have been fine on a road course, but going into Turn One on an oval at 190 mph was something else. You could tell Pagenaud was in no joking manner. 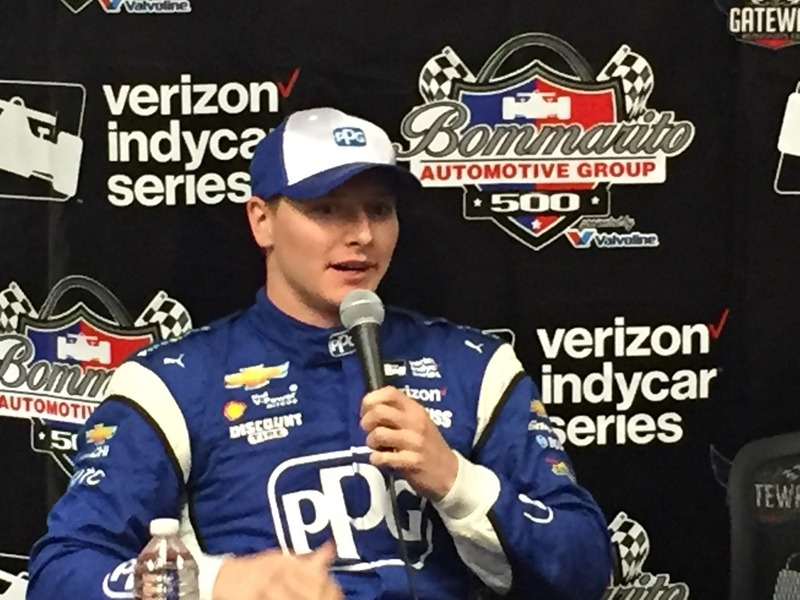 For his part, Josef Newgarden was in a much more jovial mood. Before he even sat down, he asked who won the fight in Vegas. Then it got down to hearing his version of his move in Turn One. Obviously, he thought there was nothing wrong with the move since no one crashed. When asked how he would handle Pagenaud the next time they talked, Newgarden replied that he should expect the same kind of racing from him and that they are going t be racing against each other for years to come. I’ll have more on the Newgarden-Pagenaud scuffle on Monday, along with more thoughts on the strained relationship between Tony Kanaan and Chip Ganassi. But it’s after 1:00 am Saturday night (Sunday morning) as I type and I’m tired. Once thing is certain; I’ll have plenty to write about for Monday. For now, I’ll close with a video from where I was standing most of the night at pit-in. I took a representative view of what I saw as the cars dove into Turn Three and came out of Turn Four and onto the front straightaway. 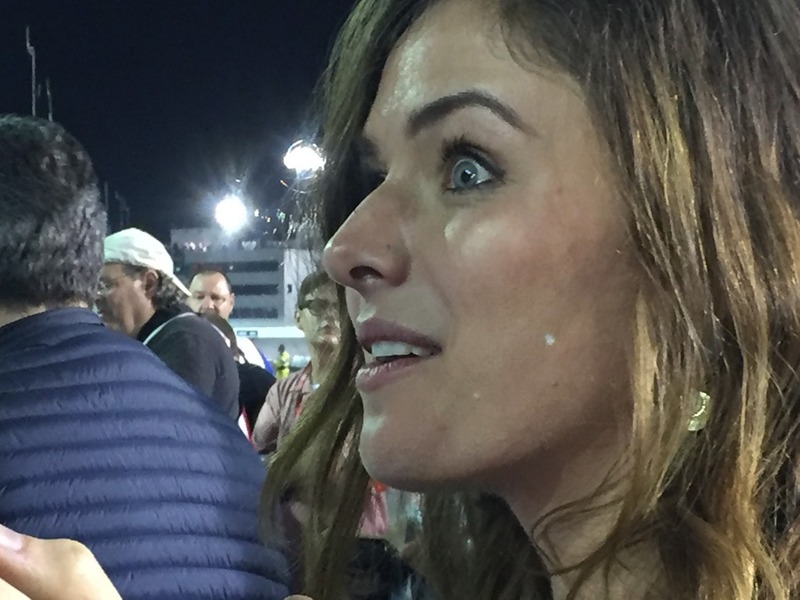 Susan and I both took some photos before and after the race, including the heavily bearded David Letterman, the crew of Josef Newgarden celebrating as their driver crossed the finish line and the look on his girlfriend Ashley’s face just after he won. I’ll return here Monday with my “Random Thoughts”. Thanks to everyone who followed along this weekend and the other races we attended this season. Sadly, this is the last race Susan and I will attend this season. But we are already trying to plan which races we will go to next season. Enjoy the photos and please check back Monday. 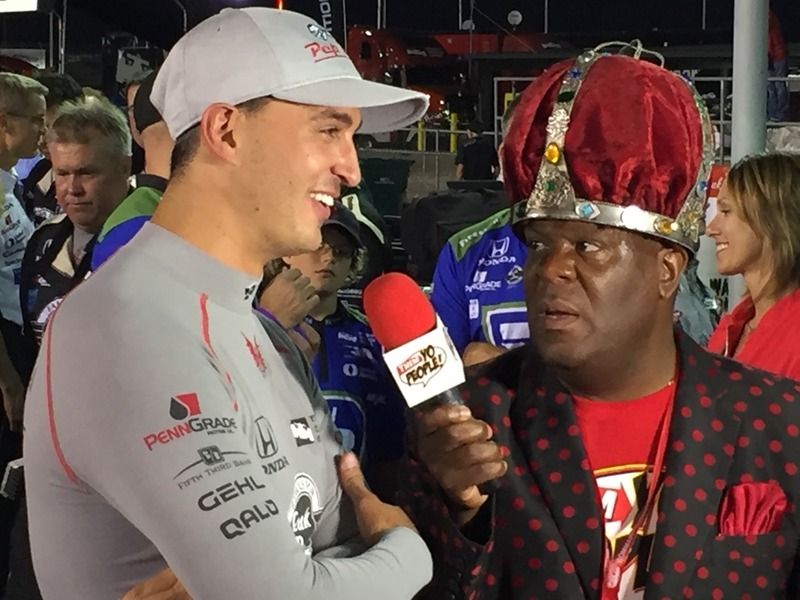 This entry was posted on August 27, 2017 at 1:19 am and is filed under IndyCar. You can follow any responses to this entry through the RSS 2.0 feed. You can leave a response, or trackback from your own site. Pagenaud is the Frenchman and he did what the French do. Josef stepped up and snatched the victory. Kudos to Conor Daly, that team is making big strides late in the season. On to WGI. The crowd was impressive. It is so nice to see full stands. Did they not allow people to sit in the stands in 1 and 2? 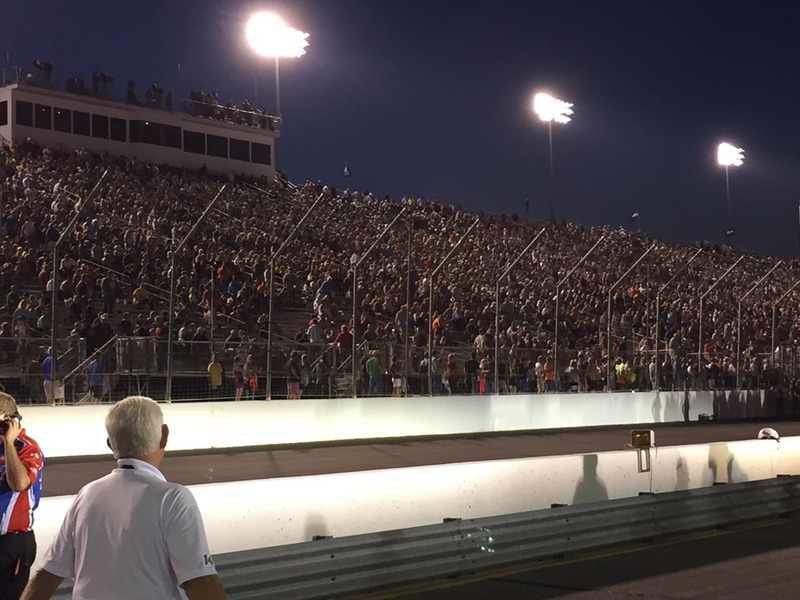 I guess the new theory is to just close whole sections of grandstands to make it appear more full? What the hell is going on at Ganassi? Newgarden is absolutely fearless. 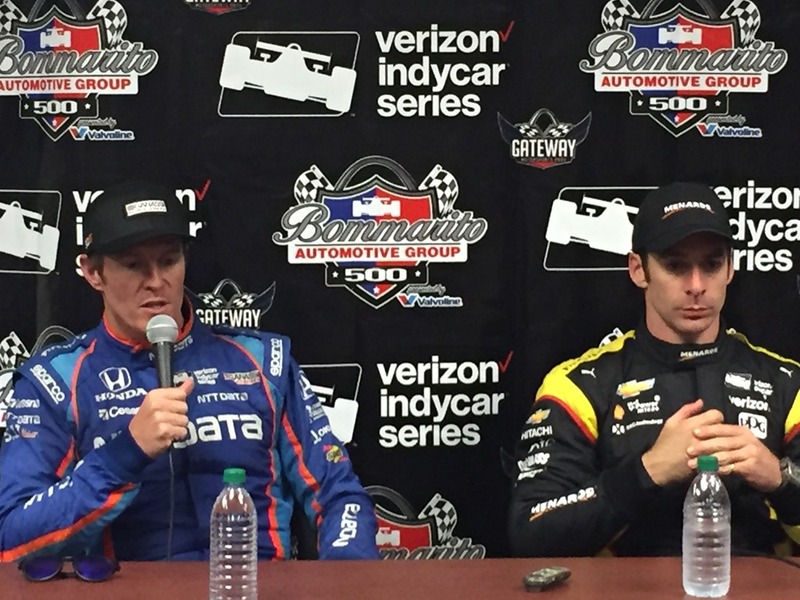 Pagenaud’s pout is not going to recover anytime soon. I feel bad for Castroneves- it shows even with his experience, its still easy to stall a car in the pits. He must be just furious with himself. Thanks for the pictures and your accounts of the weekend. I skipped the Sprint cars and Midgets at the local track to watch the Indycar race. During the first 100 laps I thought I might have made a mistake. 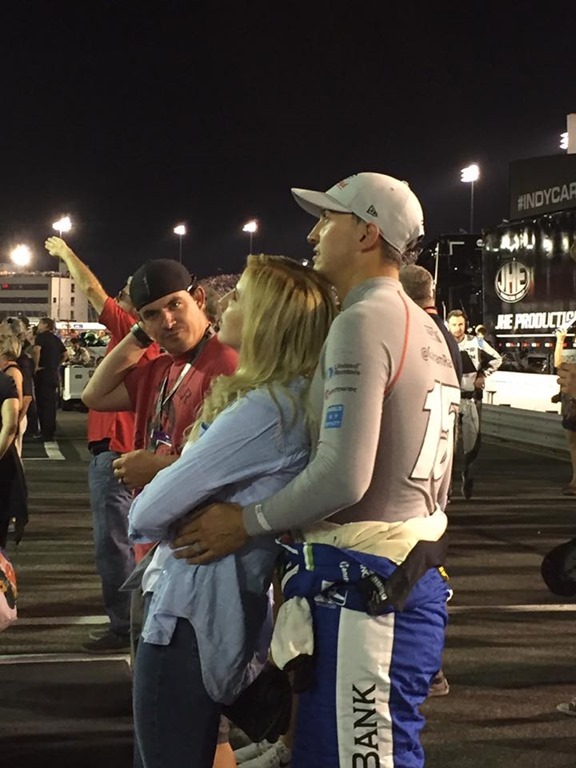 During the last 100 laps I knew I had made the right choice. Newgarden has made a couple of passes this year that will be shown on highlite reels for a long time. I thought neither Power nor Pagenaud showed much class last night. Power blamed his crash on Newgarden taking the air off his front wing and Pagenaud is going to have to learn that if he keeps throwing blocks on his team mates like he did last night, he will be muscled out of the way. Power has been a cry baby along with Rahal for quite a bit now. 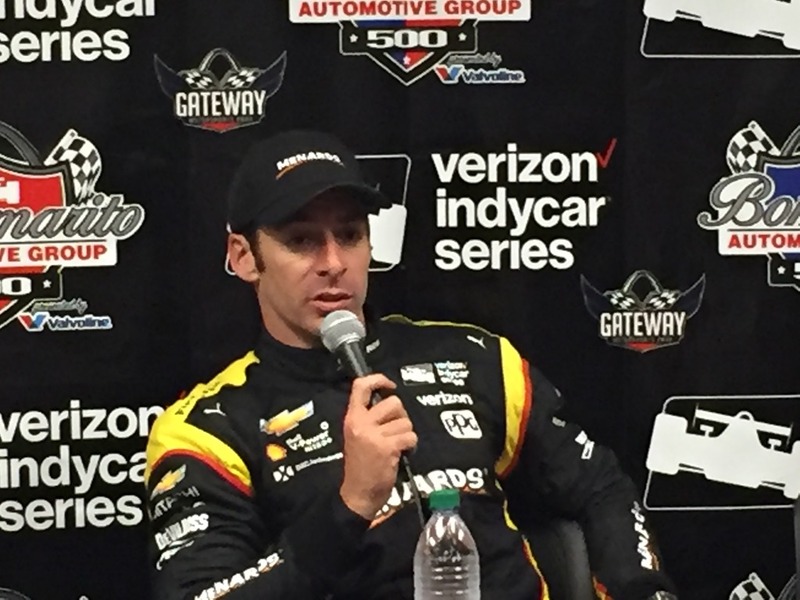 Pagenaud joins day care center.